An executive at Caryl Communications Inc., a public relations firm with a focus on commercial real estate, has earned a promotion to vice president. The Paramus-based firm on Friday announced the new title for Karen Ravensbergen, who oversees several of its real estate accounts. The promotion comes five years after she joined the firm, before rising to become a manager and then assistant vice president. “This well-earned promotion reflects Karen’s many talents, her hard work and her commitment to the company,” said Caryl Bixon Gordon, the firm’s president, noting that Ravensbergen brought a strong background in PR when she joined the agency in 2014. Ravensbergen spearheads training and new processes, while managing for clients in real estate, architecture, design, financial services, health care and other industries. The Dumont resident earned her bachelor’s in marketing communications at New York’s Fashion Institute of Technology and began her public relations career at Marina Maher Communications, according to a news release. 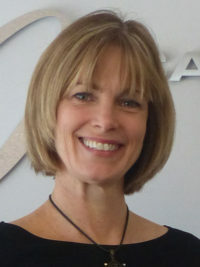 She held leadership positions at Cairns & Associates, as account director for beauty and personal care consumer brands, including Avon, Chesebrough-Ponds.